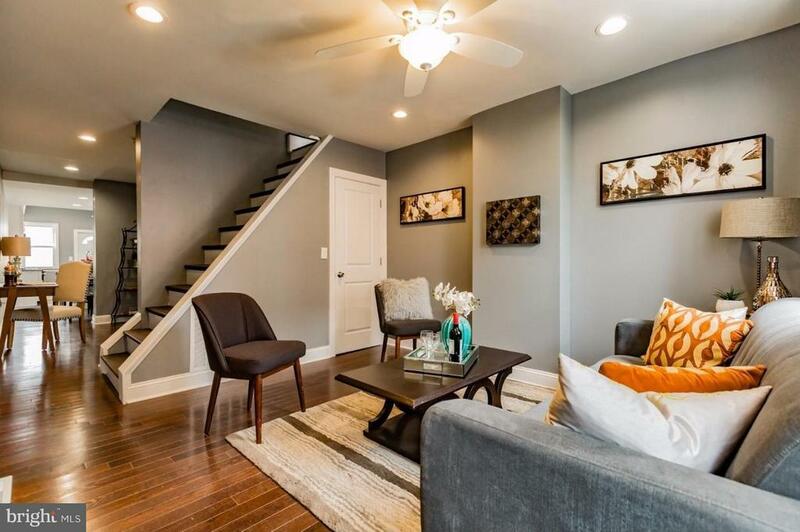 This delightful home in Olde Kensington is one you dont want to miss! Completely updated approximately 2 years ago, enter and discover the light filled living room- just the spot for entertaining! Continue through the lovely dining area and into the fabulous kitchen, complete with stone countertops, tiled backsplash, white shaker cabinets and stainless steel appliances. From the kitchen, be sure to take a step outside and admire the large backyard- ready and waiting for lazy summer afternoons and warm weather BBQs! Upstairs, the second floor reveals a sun drenched bedroom and conveniently located hall bath, as well as a spacious master bedroom with lovely ensuite bath and built in wardrobe. Found on a fantastic residential block, this home is mere blocks away from a variety of eateries, restaurants and more! Dont wait, see this home today! Pets are allowed- 300 non refundable deposit for cats, 500 non refundable deposit for dogs.